It is with much sadness that we are setting up this page in memory of our dear friend Craig Sargent. 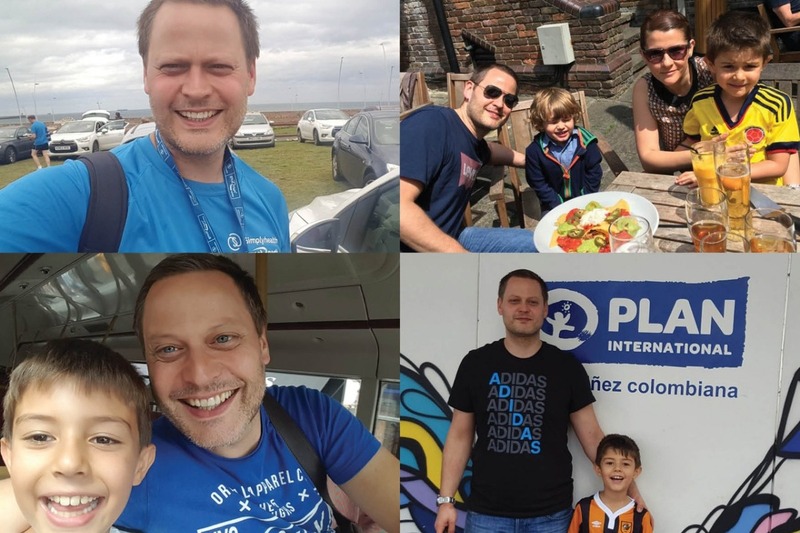 Craig passed away aged 42 on Tuesday 15th January 2019 after a very short battle with cancer. He left behind his wife Jo and their two beautiful boys Joshy (8 years old) and Sammy (5). Craig was a much-beloved husband, father, son, brother, friend and teacher. Craig left us far too quickly and will be missed greatly by many people. He will always be remembered for his warmth and friendliness, his love of Hull City FC, his competitiveness on the football field, his love of the arts and culture and being a talented actor. He touched the lives of many people in his time. The loss of Craig - the main bread winner - has also left the Sargent family in a precarious financial position. Due to being made redundant from his job last year, he didn’t have replacement life cover in place. Consequently his family - on top of needing to rebuild their lives - are under real strain and risk losing the home they have lived in for years. There are many who know the Sargent family and want desperately to support them in any way they can. We hope that we may be able to channel some of this goodwill in a way that helps the family in the way that they currently need most. There are also, it’s sad to say, many others with whom their story will strike a chord, and who might like to help another family after such a tragic event. Anyone trying to process their own grief and guide their children through theirs would struggle if they found themselves having to grapple with the added strain of a situation like this. We fear that that this reality weighs very heavily on Jo right now. If you feel that you would like to lend your support to the Sargent family, please give as generously as you feel able to. All the money raised will go towards supporting Jo and the boys in the name of our dear friend Craig. Thank you so much for taking the time to read this. If you have any questions – or would like to help us in raising funds for Craig’s family through your own initiatives - please contact us at friendsofcraigsargent@gmail.com.